Join Little Oak Sanctuary and the Canberra Cruelty Free Shop on the first Vegan Day Out of 2019 – Saturday March the 9th from 9am! 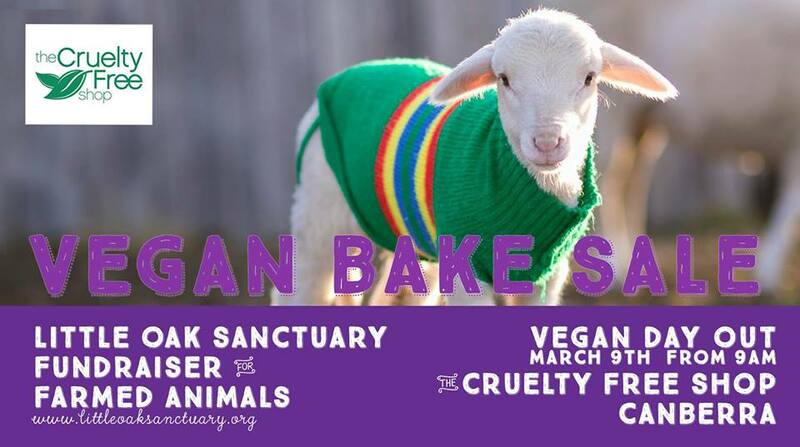 Together, we’re holding a vegan bake sale to raise much needed funds for the farmed animal residents of Little Oak Sanctuary, and to support our work advocating for all animals! Time: From 9am as long as the goodies last!